U.S. 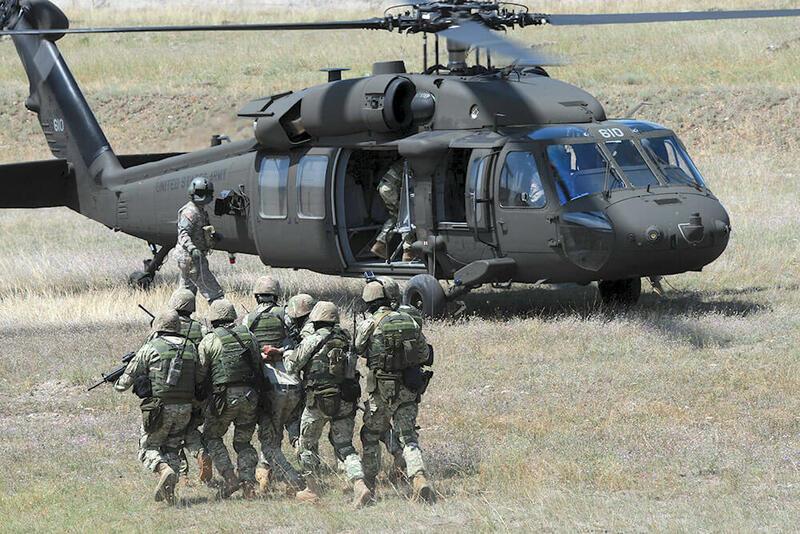 Soldiers from the 2nd Cavalry Regiment and 171st Aviation Regiment, Georgia Army National Guard, flew with Germany’s 39th Panzergrenadier Battalion in two Black Hawk helicopters over the picturesque landscape of the small nation of Georgia. 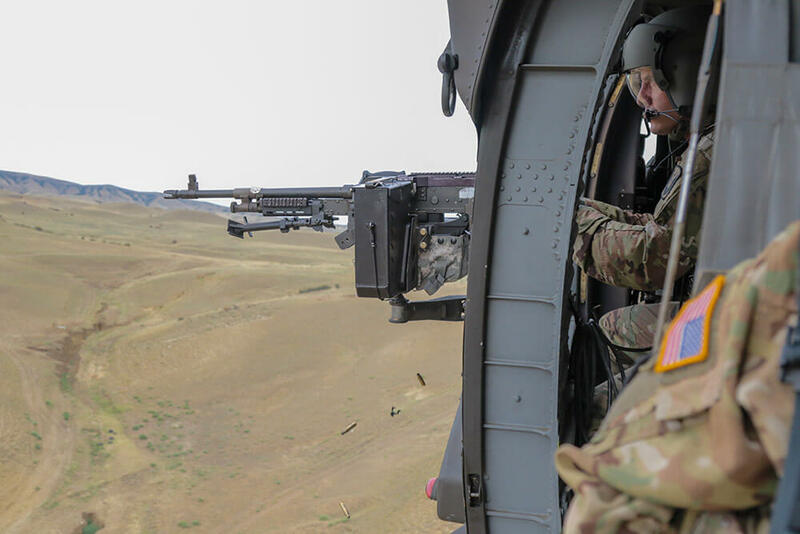 The small air assault simulation was part of the kick-off to Noble Partner 18, an exercise designed to demonstrate interoperability, readiness, capabilities and partnership of the attending countries’ forces. “They are not an allied member of NATO, but they are definitely a significant partner,” MAJ Thompson added. 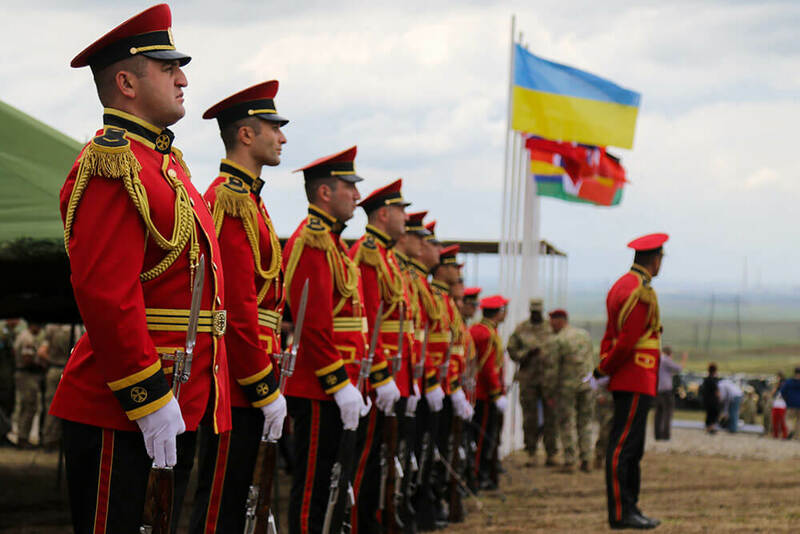 Noble Partner 18 served not only to support the training of Georgian troops, but also those of the many nations partnering in the event. 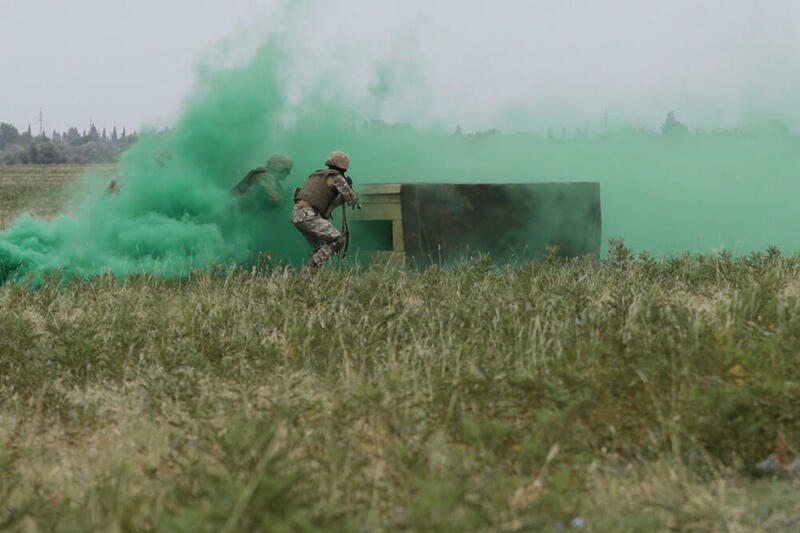 The training scenarios required the soldiers to build proficiency in working together. 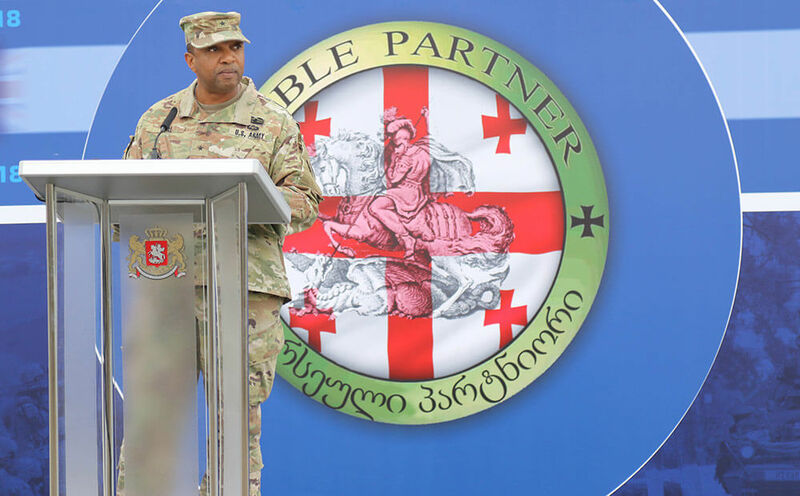 An ongoing aspect of interoperability between Georgia and the United States is the SPP relationship between the State of Georgia and the country of Georgia. That partnership will be a quarter-century old next year. Chief of the National Guard Bureau and member of the Joint Chiefs of Staff, GEN Joseph Lengyel, spoke to the importance of the relationship during his speech at the Noble Partner 18 opening ceremony at Vaziani Training Area. MAJ Thompson commented on the significance of having such high-level leadership present at the event. MAJ Dan Fall, collective training officer for the Georgia Army National Guard’s Joint Force Headquarters, agreed on the importance of the exercise that represents one of the most complex training initiatives conducted between the State of Georgia and the country of Georgia in the history of their 24-year partnership. The air assault during the opening ceremony was a hint of what was to take place over the following few days. 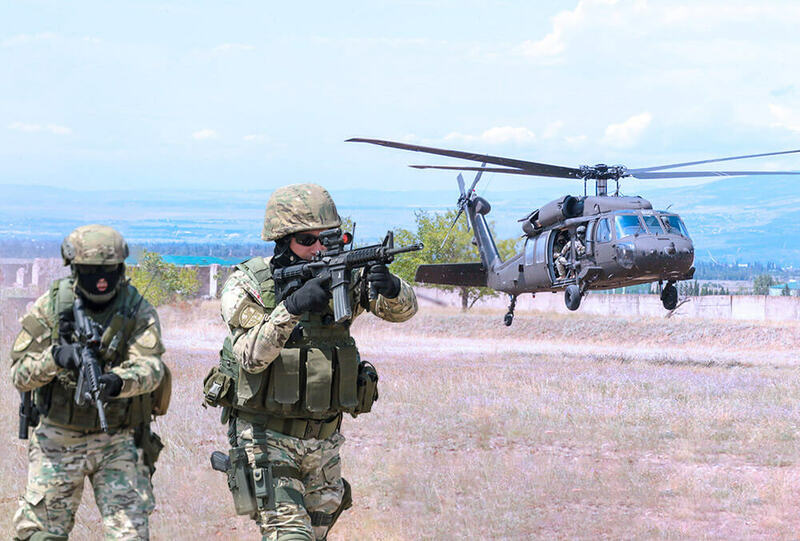 As part of one of the many training simulations during Noble Partner, Alpha Company, 1st Battalion, 171st Aviation Regiment, Georgia Army National Guard, participated in a troop-insertion exercise with Georgian Special Operations Forces at the Vaziani Training Area. “We had a great training scenario with the host nation of Georgia. 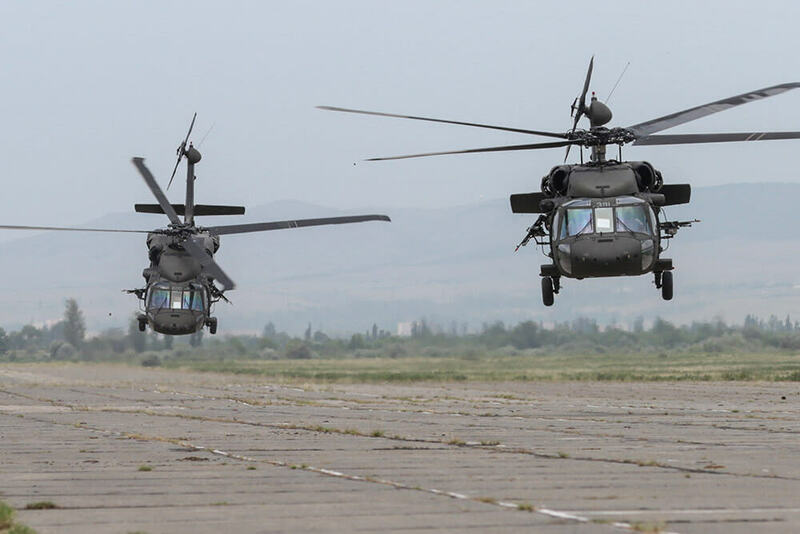 We operated with Georgian Special Forces to conduct an infiltration and exfiltration of a high-value target,” said CW3 Joseph J. McNamara, UH-60 pilot for Georgia’s 171st Aviation Regiment. Before their deployment overseas, MAJ Fall spoke about the scenarios in which the 171st would be participating. “They will be [participating in the] air assault operations, aerial gunnery live fire and supporting ground live-fire exercises,” he noted. COL Fournier commented on how the intensity of live-fire exercises has a tendency to enhance the Soldiers’ focus. For the Soldiers, Noble Partner was not only an opportunity for field training, but also to exchange ideas, build relationships and experience a different culture. SGT James Anderson is a signal support specialist and was the 1-171st Communications Section team leader during the exercise. COL Fournier spoke to the importance of understanding the differing cultures present at a joint event like Noble Partner, noting what he would like to see Soldiers take away from the event. COL Fournier has been to the country of Georgia three times previous to Noble Partner 18. In 2016, he was the deputy director for that year’s Noble Partner exercise, he said. COL Fournier went on to note that back then, when he had time off on weekends, he would go down to the local town to try the food, get to know the people and see the Georgian sights. He said it was a great experience and that he admires the culture, which has a history that dates back not decades or centuries, but millennia. 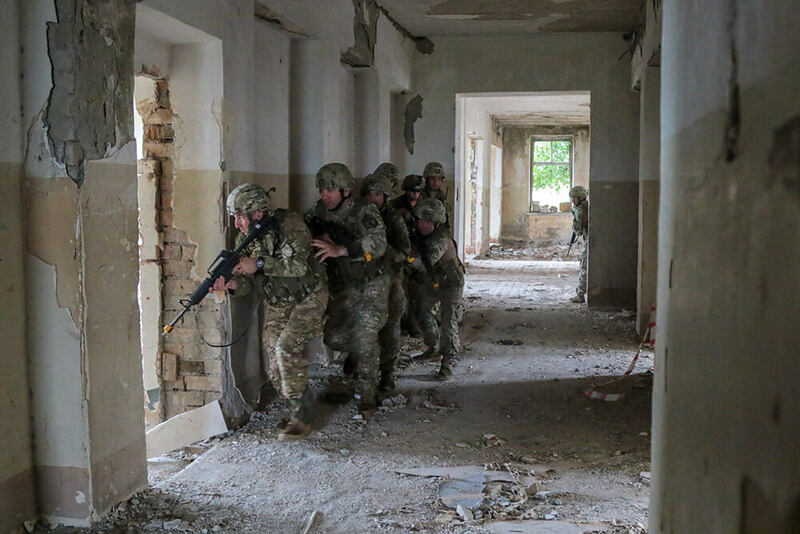 By the closing of the exercise, the 190 participating Georgia National Guard Soldiers had gained valuable training, built interoperability with partnering forces and strengthened their relationship with their SPP counterparts. By all accounts, the mission was deemed a success.